“now covered and enclosed; but within the memory of persons still living it was in the state… described by Nichols… “Good for sore eyes”… even since the enclosure of the well, many applications for water from the pump erected in the adjoining ground have, I know, been made… On making some enquiries a few years ago of “the oldest inhabitant”, he… exclaimed “Oh! You mean Tostings’s Well!”’. Bowbridge site of Tostings well, more famed for the location of Richard III head hitting! Sadly it has now been entirely destroyed, occasioned by widening the road. 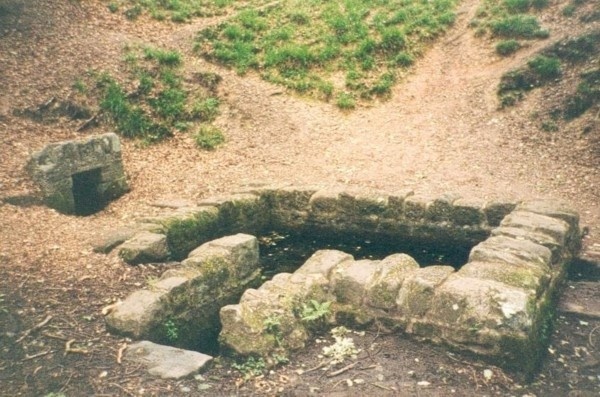 Slightly more difficult were the springs associated with Leicester Abbey were the Merrie Wells which Potter (1985) and Rattue (1993) suggest derivation of St. Mary’s Well, although no record confirms this. The springs too have been lost. .
“furnished by the proprietor with neat marble baths and easy convenient appendage for bathing, has not been found to be sufficiently impregnated with mild properties to bring proper use”. The Leicester Journal reported in 1794 that ‘Leicester Spa is now in high perfection’, Yet it was unsuccessful and by 1798 to a General Baptist College had taken over the site, this became a private house and latter offices. It is remember as Spa Lane. “these baths will be found equal, if not superior, to any other baths in the neighbourhood”. However the revival did not work and when in the 1880s ,the area was being developed, the Hydropathic Institution became the Empire Hotel. This become derelict in the 2005 and was demolished to build a Lidl supermarket in 2014. 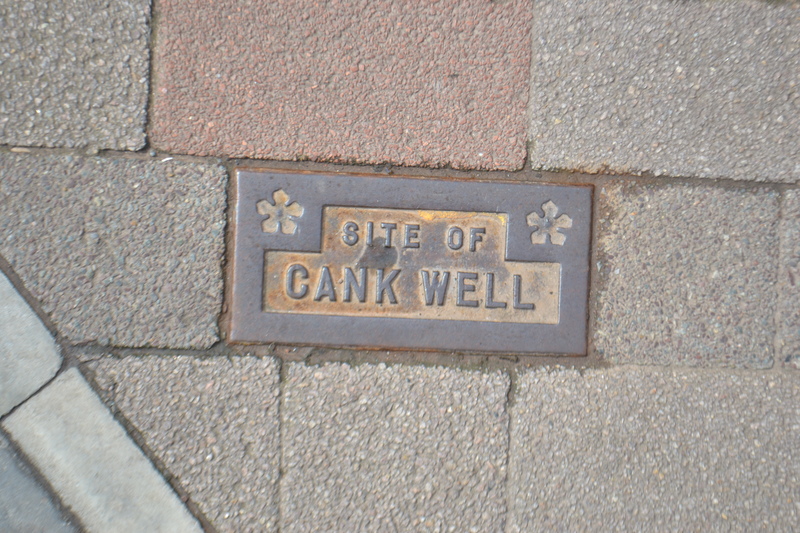 The only other surviving of the city’s water history is the Cank Well a plaque of which exists on Cank Street. Local tradition states that it was famous as a meeting place of gossips, the word cank being a term for cackle. However, this might be folk etymology as in Leicestershire it is a name of a hard ferruginous (i.e iron rich) sandstone and it may record chalybeate (iron rich) and those healing qualities. Alternatively cank may refer to cancer and it was a curative well…but we can debate and gossip that all we want, there is no evidence! Haiti is a fascinating country for those interested in the overlap between pagan beliefs and the Catholic church. This is particularly evident in the beliefs associated with springs and particularly on the island, water falls. Voodoo or Vodou is a religious practice which origins in the Caribbean from West African slaves under the French colonists adapting Yoruba and Kongo, Taíno (indigenous Caribbean) beliefs as well as Roman Catholicism and even Freemasonry. One of the most notable features is the association of the springs and water bodies with spirits. One of the most important was Simbi a guardian of marshes and fountains, where he would help those in need of a cure from supernatural illness. However he can be a troublesome character and would kidnap fair skinned children who would come to fetch some water to drink and make them work under the water releasing them years later with the gift of second sight as a compensation! Another water deity was the Damballah, a snake whose lives in the water and the land. He is said not to be able to communicate but create a feeling a comfort, optimism and fertility. Interestingly he is associated with St. Patrick who is of course famed for vanquishing serpents in Ireland. 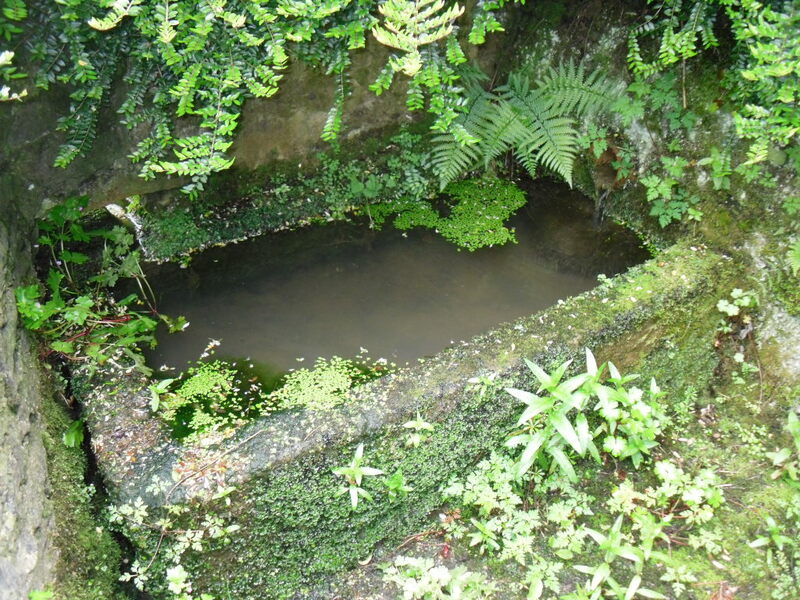 The most famed spring site is Machann Dessalines, where there is a small cave or gròt, associated with a man-made pool, where Vodou spirits Ezili Freda and Simbi reside giving their healing powers to those who submerge in the pool. However, the most sacred water place of the Haiti’s is the Saut d’Eau found in the Mirebalais district where physical illness, social and psychological issues can be cured – it is hoped! Why? 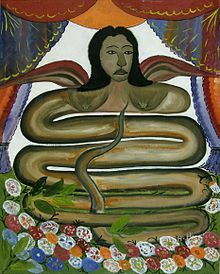 For it is here that in the 19th century either a vision of the Virgin Mary of Mount Carmel or her Vodou counterpart Lwa appeared in a palm tree nearby. It is recorded that a French priest afraid of the repercussions cut it down. It did not work for the site became the main pilgrim destination on the island. Those Roman Catholic attend the church of the Virgin Mary whilst the Vodou followers bath in the waters of the waterfall. The most important day is during the festival of Our Lady of Carmel, July 14-16th During this period the eucharist is said at the site. The waterfall is also sacred to Damballah and it is said that its waters also cure infertility and it is said that many women give offerings of underwear. At the time of the festival the waterfall is a great spectacle of people in different stages of rapture taking in the sacred waters. They scrub themselves with soap in preparation for a leaf bath where medicinal herbs are used. They then bath again and after rinsing off the water, the priest and priestesses tell the attendees to them remove their clothes and offer them to the waterfall. By doing so they remove any illness or negativity and are reborn healthier with new clothes. The spectacle of so many people here all hoping for 7intervention from either the deity or the Virgin Mary, in a place where the pagan and Christian combine harmoniously. 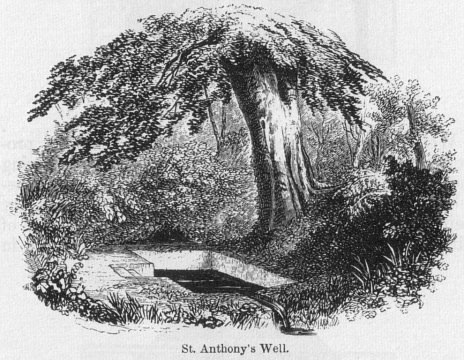 St Ann’s well or Catholic folly? It is only in S.C. Hall’s 1853 Chertsey and neighbourhood that the name appears. It is also curious that the the current structure does not resemble that shown in Hall’s work either more in keeping with Aubrey’s description. It is probable that as the site was gaining a more religious name that it was getting a new structure. This is probably to do with the then owners of the hill, Lord and Lady Holland, who had converted to Roman Catholicism which would explain the improvements in 1850s and its associated with the saint and closer affinity to the chapel. This lending it to the idea of being a sort of romanticised folly. The chapel itself is first mentioned in 1402 as the capella Sancte Anne is recorded although a chapel was licensed in 1334, but in 1440 St Anne’s hill was still the “hill of St Anne… otherwise called Eldebury Hill.” when a fair was granted which continues today although not unbroken as the Blackcherrry Fair in the town. The chapel is associated with an Abbey which was founded by St Erkenwald in 666 and such the cradle of Christianity in Surrey but it is a big jump to assume the well dates from then. 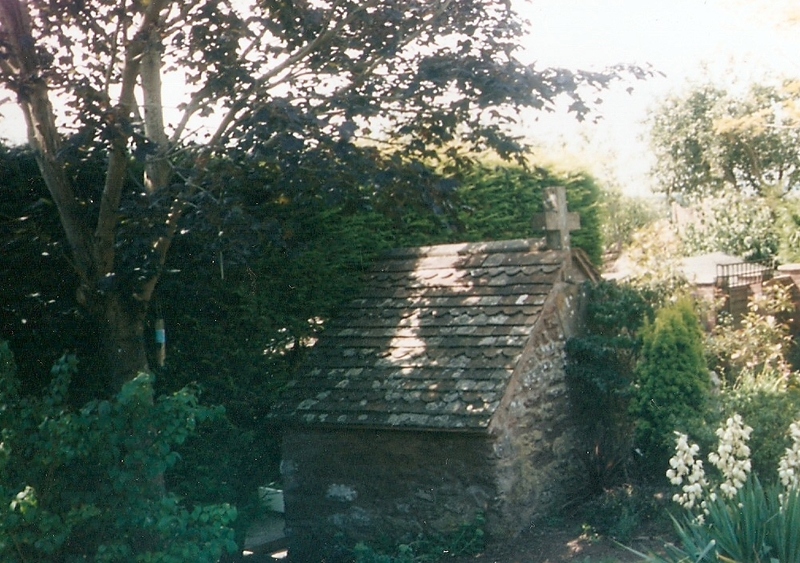 This chapel remains on the hill, the guide in the car park refers to a mound near the house but the nearby mysterious Reservoir cottage incorporated most. However, it is improbable that a considerable amount of water would have been left untapped. The area was a hill fort whose exact history is unclear due to the predations over the centuries, but a Bronze Age date has been suggested. “not now used for any medicinal purpose. It rarely freezes when other springs do”. Looking at its dirty murky waters today one would suggest it might cause as many eye problems as it cures! On a spring evening with no one around one could quite imagine such ghostly cries. Such stones are often found in conjunction with stones and the treasure may suggest the giving of votive offerings. The combination of a healing spring, an ancient stone and as the name of the hill might suggest a sacred tree is something of considerable interest to those interesting in sacred landscapes and suggests a possible old cult hereabouts. The existence of a ghostly nun may also be significant, there are near identical legends at Canwell and Newington Kent and, the later associated with another Devil’s stone. Do they remember old pagan deities, water spirits who lived by the spring? But this is the only evidence, the old writers are silent on anything more! My musing are just that musings! The well today is indeed a substantial is ruined structure. It resembles an ice well in structure, its plan being a key shape with a rectangular basin and a dome over the source, although this is difficult to locate. Much of the dome has been weathered and ruined by the ages and being built into the earthen back this has preserved it. The brick work is a curious mix of redbrick, iron slag, cobbles and some older possible reused squared medieval stone work. 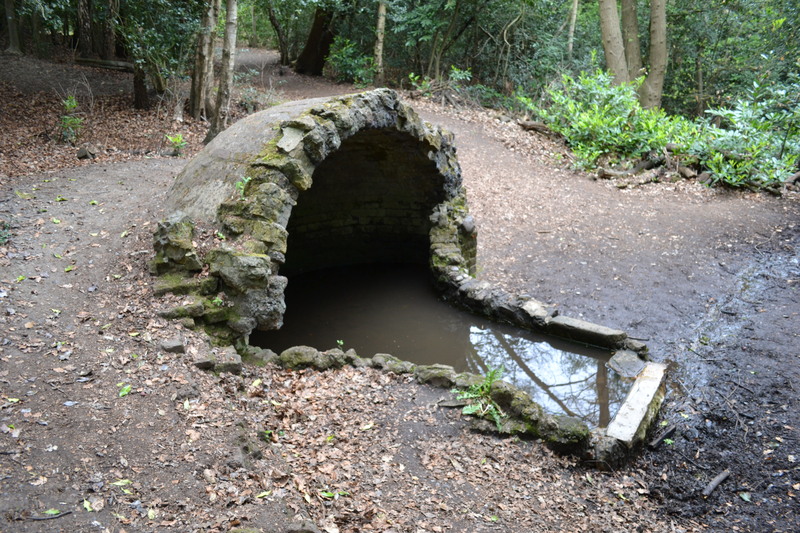 James Rattue in his indispensable 2008 Holy wells of Surrey found this site stating that it resembled in part the Nun’s well and was clearly part of the landscapers attempt to improve the area. It was a dry circle of brickwork and filled with leaves. He describes it as being on the flat part of the hill. However with his instructions, OS reference and old maps showing a spring I failed to find it – although I did find another spring overgrown in the rhododendrons. However, despite this author and others claims I did find the Nun’s well easy and here the fail-safe way to find it. Don’t go through the car park and continue along the road, passing the second car parking area in the dingle and then as the lane drops just past a house on the right there is a signposted public footpath. Take this and continue until passing a crossroads of another public footpath just past a hedge in the field on the left. As you past this and before the path you are on drops into a series of wooden steps there is a path to the right where the Nun’s well can be seen – simple! Good luck! 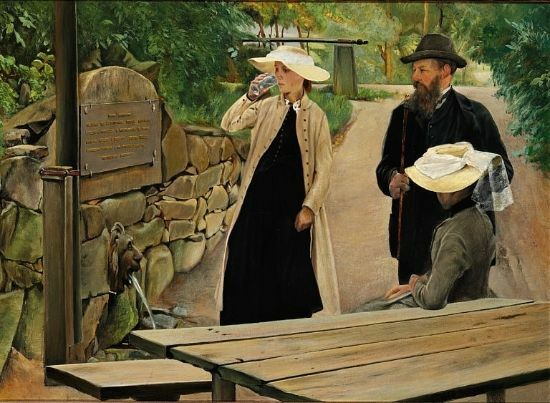 Laurits Andersen Ring (1854-1933) painting of St Mogen’s well fountain near Mogenstrup. Outside the town of Mogenstrup is one of the most famed holy wells of Denmark. A holy well dedicated to a saint whose following spread across the Danish world, a saint still remembered from Orkney’s to Denmark – St Magnus or Mogens, a Danish Royal Martyr. Local traditions believes that the well was a pagan sacrifice site taken over by the early church and dedicated to the saint. When this re-dedication was done is unclear but it was certainly since 1292 as the area around has been called Magnus torp since. The best time to visit the well was Midsummer by the sick and weak. There were certain ceremonies which had to be adhered to, which ensure the water’s best powers were bestowed, such as the giving of swords, jewellery or even animals. When the church was established they encouraged the giving of money into a box , a block and hence called block money, in the church. This paid for the church, the poor and those who had to guard the spring. It is said that its waters were particularly officious at midnight and that pilgrims were so keen to take its waters that fights would occur. On is recorded between two women in 1670 from Næstved in 1670 who fought to reach the spring first and the fight resulted in a law suit of the 1st July 1670. Another tradition to ensure that the water was effective was that the applicant should approach the well in silence. Thus, they must not greet people once they had been to the spring, avoid again meeting anyone on a return visit. Of course you could collect water for someone else but it must not be sampled on the journey back or else its power would be lost. It was also thought that the water flowed greatest and was more efficacious at midnight and bowing three times against the sun was also recommended. The water could be used for internal diseases including cancer, insanity and mental illnesses, or external one which require the area being rubbed. In the donation of money it is said that odd money was needed for external diseases but also rags were would be used where the affected area would be rubbed or tied to and then left at the site. There are accounts of those suffering from arthritis donating their crutches to the church as firewood! Unlike British clouts it is said that the clothes were buried as local people would steal them or burn. Local accounts tell sometimes people came had their sight restored or even their life by virtue of the saint! The Reformation here too had an impact and in 1536 there are records of the clergy trying to prevent people access the site. However, over a hundred years later, accounts of 1681-86 record that the weak and crippled were still visiting the spring donating 3-5 shillings. There were said to be several thousand at midsummer. 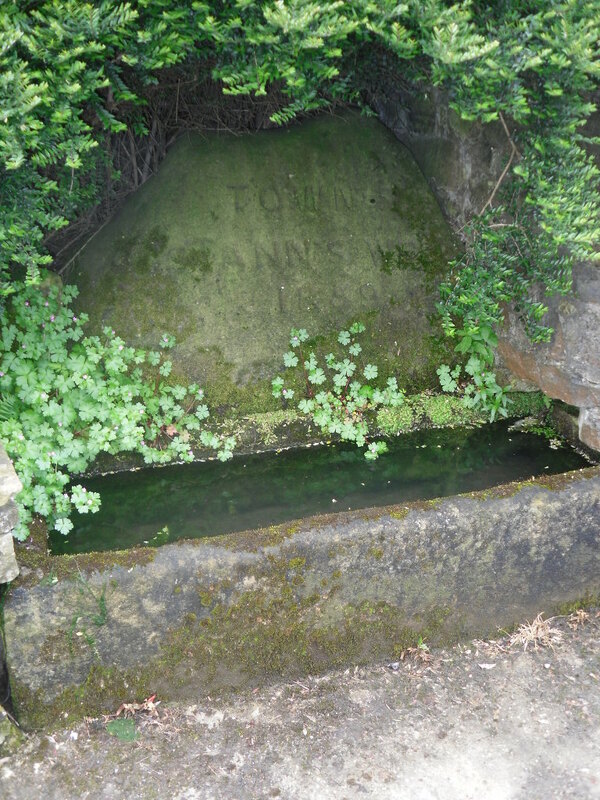 A turnpike was established in 1824 through the woods, the outflow was channelled into a fountain with a lion’s head which itself was restored by 1862 by the owner of a local brewery obviously tapping the water. However, the move was to have a negative impact on the supposed powers of the spring and numbers of visitors dropped. 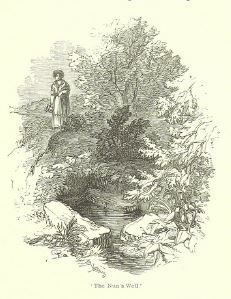 The holy well still survives arising in a circular basin whose overfull continues to the lion’s head, however the vast concourse of pilgrims have long gone. 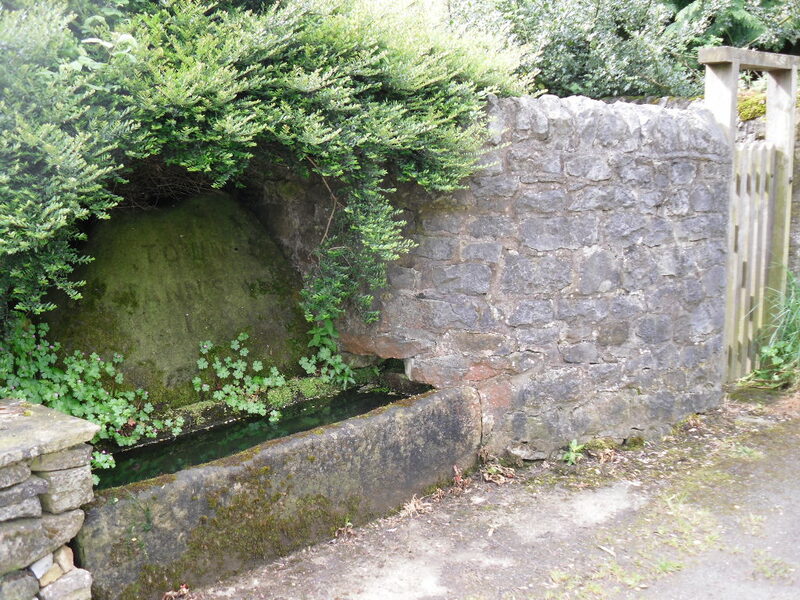 Our first guest blog is from a fellow Holy Well Blogger – Ian Taylor with his excellent exploration of holy wells of North Wales. This month he offers a guide to a lesser well known well on the island of Anglesey. Holy Island, Ynys Cybi, lies at the north western corner of Anglesey, separated from the main island by a narrow strait crossed by two bridges. Its name refers back to the religious settlement founded here in the sixth century by St Cybi, the town of Holyhead too still bears his name in its Welsh form, Caergybi. This was journey’s end for Cybi. A life spent wandering following a pilgrimage to Jerusalem which finally saw him settling on the Llyn peninsula, where he is remembered in the old parish name of Llangybi, the site of a popular well that also bears his name; before being given land by King Maelgwn Gwynedd here on Anglesey where he established his great monastery. St Peulan features in most medieval accounts of the life of St Cybi, being identified as one of the ten disciples who followed Cybi from his original home in Cornwall, through South Wales and into Ireland before finally arriving in North Wales, a medieval manuscript identifies him as one of the twelve “sailors” who formed Cybi’s family. It is through Peulan that the story of Gwenfaen as a saint enters the record. A late version of the Bonedd y Saint (ref. Bartrum) identifies Paul Hen from Mannaw, the place name suggesting that he was from the Strathclyde area of Scotland, as being the father of two sons Peulan and Gwyngenau and of a daughter Gwenfaen who were all amongst those who followed Cybi to Anglesey. Although Peulan is identified as one of Cybi’s primary companions, Gwyngenau and Gwenfaen appear more as bit players in the story, suggesting later additions. It is probably noteworthy however that, in addition to Gwenfaen, each of these sons too have had churches dedicated to them and named communities on Holy Island at Llanbeulan and the, now extinct, Capel Gwyngenau. The implied connection between the three is strengthened by the dates recorded for their feast days. Cybi’s is celebrated on November 5th, Peulan on November 1st or 2nd and Gwenfaen on November 4th or 5th. Although any festival date for Gwyngeneu is not known. Gwenfaen benefits from a much more colourful legend than her brothers.. It would appear that it is initially a localised, possibly later story, since it isn’t picked up by the lives of the saints stories. We are told that her cell was attacked; some accounts tell us by Druids, others by Vikings, neither would be possible at the time Gwenfaen lived. She fled to the sea, jumped from the cliffs, climbing onto a natural stone column. As the sea rose around her she was in danger of drowning until two angels descended and carried her up to heaven. The female Welsh saints appear regularly to have led perilous lives; in many cases their sanctity being derived from their ability to preserve their honour against all odds. However the story may retain some memory of the Viking raids of the 9th and 10th centuries, which had a devastating effect on religious and secular communities on Anglesey. Rhoscolyn, a small scattered community, is towards the southern end of Holy Island close to the air force base at Valley. It centres on its church which is dedicated to St Gwenfaen, a late Victorian reconstruction on the site of an earlier church, destroyed by fire,. The community previously carried her name, having been known as Llanwenfaen, although for several centuries now it has been Rhoscolyn, the column on the moor, in reference to a large Roman stone in the area. Gwenfaen’s well (Ffynnon Wenfaen) lies on the cliff tops some 1000 yards to the south east of the church. To find it one follows the path running just to to the east of the church towards the coast between several scattered houses, predominantly holiday lets today, as far as the lookout station, and then turning to the right and following the cliff path downwards. The well is set in a hollow in the landscape and very easily missed even when following the path which runs close by. It is however a complex dry stone built structure in three separate parts. Steps lead down to a smallish paved antechamber with four triangular seats set into the corners. Beyond this a second area contains the small oblong bath, which could have been used for bathing. Water flows out from the structure into another stone lined exterior pool, with steps down to the water on two sides, before being channelled away to a pond down the hillside. There is no indication that any of the sections have ever been roofed. Cathrall writing a detailed parish by parish history of Wales in 1828 fails to mention the well. He is admittedly very scathing about traditional customs and beliefs, however he does make mention of six other Anglesey wells, suggesting that Gwenfaen’s may have been of less significance at the time. Neither does it merit a mention in Pennant’s Tour of Wales (1810) or Angharad Llwyd’s History of Anglesey (1833), although she appears to draw mainly on the two former authors for much of her information. From this we might assume that while it may have had some local use, it did not feature on the main antiquarian tourist trail in the 19th century. 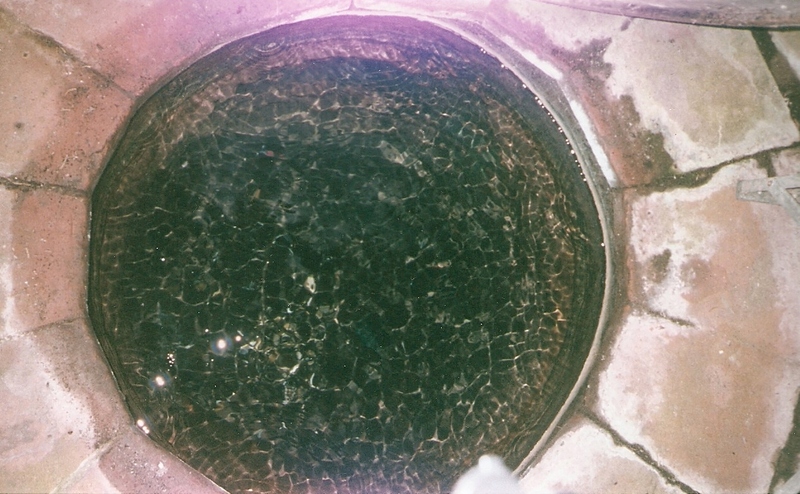 The well has a reputation for alleviation of depression and for general mental problems. The primary written source for this would appear to be a poem, The Sacred Well of Gwenfaen, Rhoscolyn, written by poet and historian Lewis Morris during the 18th century. His knowledge of the spring and local traditions could not be questioned, he was born on Anglesey and his first wife was from Rhoscolyn. 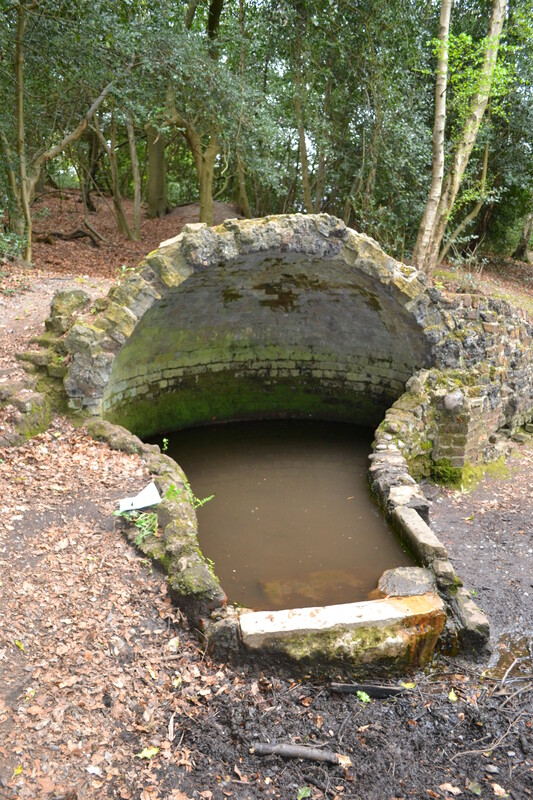 Baring-Gould and Fisher (1907) refer to the text and imply from it that the well may have been used for divination, a common practice at Anglesey wells, though no indication of the form this took is provided. Morris seems to be the earliest written source for the tradition of offering two white or quartz pebbles as an offering to Gwenfaen when seeking a cure. This is widely reported today, and one often finds small collections of white stones within the well. We find quartz pebbles as a not uncommon offering at wells across North Wales. In the early medieval period they were said to be associated with water and healing and are recorded as having been offered well into the eighteenth century. 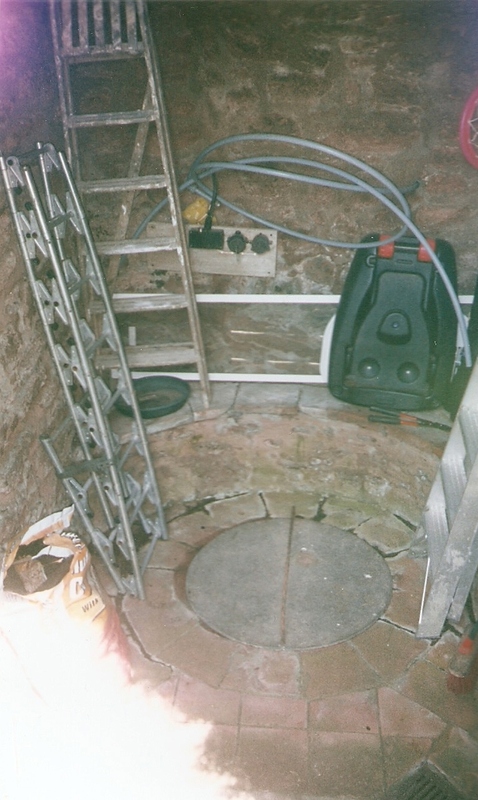 At one of the very few Welsh wells subjected to an archaeological excavation, albeit in the 1930s (St Tegla’s Well, Llandegla, Denbighshire) a layer of white stones was found, suggesting a regular practice at this site. (Edwards, 1994) Although such stones do not feature in what is now the widely known complex ritual supposedly practised at that well for the cure of scrofula. The offering of white pebbles is also explored by Janet Bord (2006), who notes the practice occurring not only in Wales but also in Ireland and the Isle of Man and suggests that it is almost certainly a custom of some antiquity since similar stones have been found within burial mounds and at very early Christian sites. There has been a suggestion that the white stones and the dedication might be interlinked. It is possible to translate Gwen faen, (or Gwyn faen) as white stone, thus the well might really be called “white stone well” and the history of St Gwenfaen may have been constructed in response to the name. This is not completely unknown in North Wales. On the other hand the white stones might be left in honour the saint’s name. Either might be possible, though since the name Gwenfaen, does enter the record relatively early I suspect the former is unlikely and, given the more widespread use of white pebbles, the latter may be unnecessary. In such proportion as I’ve drunk thy waters. Maybe it does have an impact, or maybe it is just the exhilarating walk along windblown cliff tops, towards the end of known territory, to reach it, but certainly a visit to St Gwenfaen’s well rarely fails to lift the spirits. The Sacred Well of Gwenfaen, Rhoscolyn by Lewis Morris. Bartrum. Peter (1993) A Welsh Classical Dictionary. National Library of Wales. Edwards.Nancy(1994) Holy Wells in Wales and Early Christian Archaeology. Source, New Series Issue 1. Grufydd. Eirlys and Ken (1999) Ffynhonnau Cymru, Wesg Carreg Gwalch, Llanrwst. Llwyd, Angharad (1833) A History of the Island of Mona.,Rhuthun. Fortunately this description stands today. Many authors agree that its waters are very cold. I remember my visit to the site in the 1990s with my father. He had been suffering with skin problems and upon hearing upon its properties tried the cure….he dipped his feet in the water, complained about its severe cold temperature, but then went around nine times. He was not cured, not because it was summer not May but because his skin complaint was due to diabetes! Another claim for its waters was that it cured eye complaints as well. Certainly the water is very clear and pure. 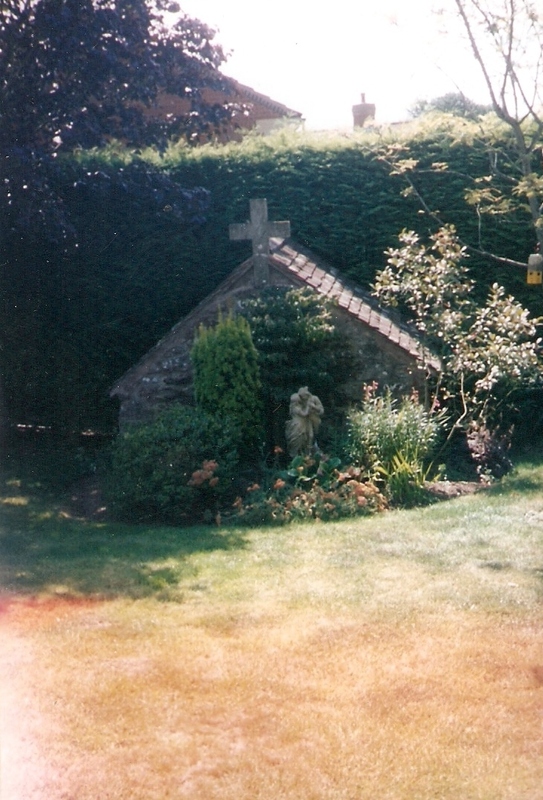 In the late 1980s the local church on Ascension Day visited the well and dressed it, although it is unclear whether this was of a Derbyshire form. The well was dressed in the 00s by local pagans which had mixed responses. It is likely that the well was associated with Flaxley Abbey founded in 1148, but there is no evidence for this association. Indeed the first reference appears to be as St. Anthonyes Well in 1669 and is marked on the 1881 OS map. Beyond this no firm history is known other than that recorded in topographical works above. Yet its old mossy stone work and clear water speak volumes of its great age. St Anthony’s feast day was in December I am sure the water than is colder than ever! The seasons are changing here in the Northern hemisphere and when the days get longer, the temperature rise but the foliage has not managed to reach its highest levels, its time to do some research. I have visited hundreds possibly thousands of springs in the cause of my research, and I encourage you do the same and rediscover our sacred spring heritage. Usually archival based research is first. a) Archives – can be a daunting and they are rather large and overpowering. I always find the people there very nice and despite the fact it can be like look searching for a needle in a haystack, some do have good referencing either there or sometimes on line. You’ll need to sign up for a CARN ticket and collect your pencils! b) University library collections – Similar to above and useful for periodicals. Most allow you day tickets and of course UCL has the folklore society library. c) Local history collections in public libraries – Little less daunting and can actually have more in them. The works can be open shelves which helps and some have excellent references files, the result of a good use of work experience candidates no doubt. d) Local history societies – Can be an excellent source although I am always surprised that no one knows about a site which still survives. They may have already done the research or have their own collections. e) Parish councils – may have someone who knows or links to above. 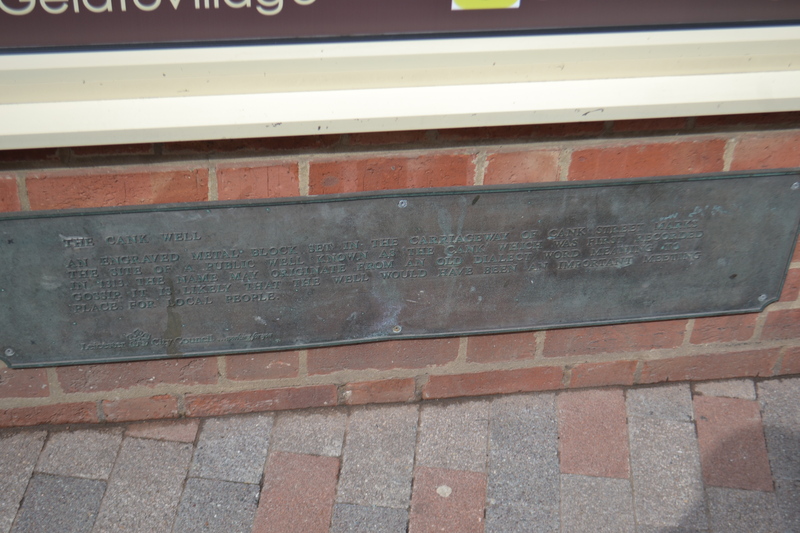 f) The local vicar – some have an interest in this sort of thing, many wrote local histories. Local history and county history books – These of course vary from great 19th, 18th and even 17th great tomes to small privately founded works made often on a short run. The millennium spawned a lot of the latter, but there’re not always very useful and despite the importance of water holy wells rarely figure! The former ironically can be more useful, if of course no indication on whether the site still survives. Some older books can be found posted in full on-line which is helpful, all can be found in any library local history section worth its salt! Websites – more convenient as you don’t need to learn the sitting room! Their utility depends on how good someone else’s research is and remember little is peer reviewed on the net! Three particularly useful websites are the NationalArchives on line, Pastscape and Megalithic. Forums can be useful too. Terriers – can reveal sites but can be difficult to read and they are in Latin. Difficult to access as in archives. Tithe awards and maps – the map is essential and if it’s there; cross-referencing with an OS map will allow you to identify a simple spring as the site you’re after. OS maps (old or new) – Modern ones are useful but often the series between the wars and just after are more useful. They can be viewed on old-maps.co.uk for free. It is a complete mystery why some holy wells and related sites are marked others absent, some appear and disappear between editions, some are italicised despite the lack of age and some are in blue but are older!! All these sources may locate an unknown site or locate the location of a know site and so the next stage is field work. As stated if you are researching lost or less well known sites, this is best done in the autumn/winter/spring when the vegetation is less. Having said this it may not always be the best weather and most convenient. You can of course do your research in the summer but remember shorts and holy well research are not the best! 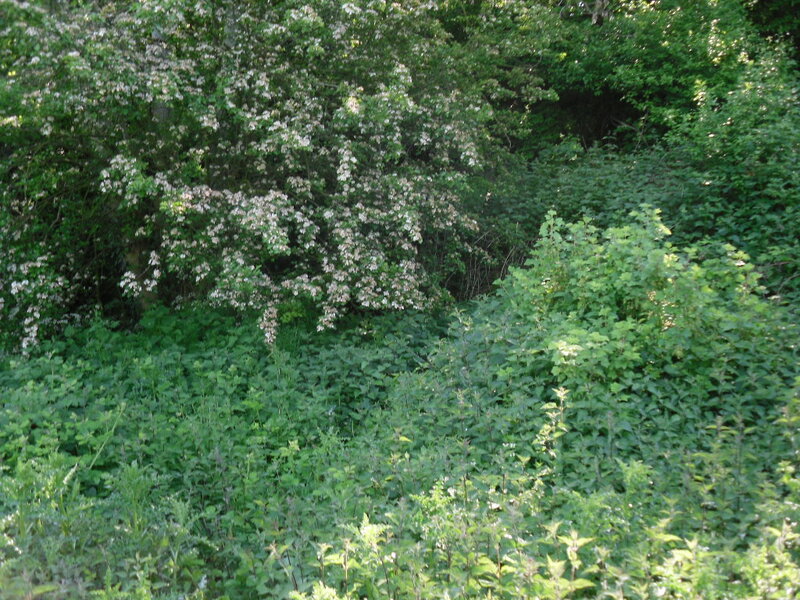 As I have found out may times…too many nettles! Map – larger the scale the better, the old OS pathfinder now Explorer, 1:25000 is the best. The larger the scale the more detail, although for reasons above you may need to use older ones. Clippers– for brambles, briars and nettles, but of course be sensitive to ownership and the natural ambience of the place. Wellies and water proofs – Water = mud= dirty! A camera = depends on what you want but a decent point and shoot is often good enough, and prevents the SLR dropping into the mud! Sturdy shoes – if you walking to the site and changing into wellies there. A bottle to drink the water??? At drinker’s risk I would say. Sometimes finding a site is very easy and the map is accurate, you follow the instructions and lo and behold it’s there. That’s not always the case..
A stream, brook or river – follow it to its source of course. A difference in foliage – in open areas such as fields look for clumps of trees or at least nettles. Animal activity – in those fields look for tracks to the springhead made by livestock or birds flying over. Sound – The sound of trickling water if you are lucky, but another thing to look for may be the sound of a pump at the site if it has been utilised by the farmer. Smell- sometimes spring smell and not nicely. The shape of the landscape – look for undulation, old indentations and channels in the valley. Why not write up the research, either in printed form- book or article or else put it on a website, blog or perhaps email me! There’s a well in there…..honestly! 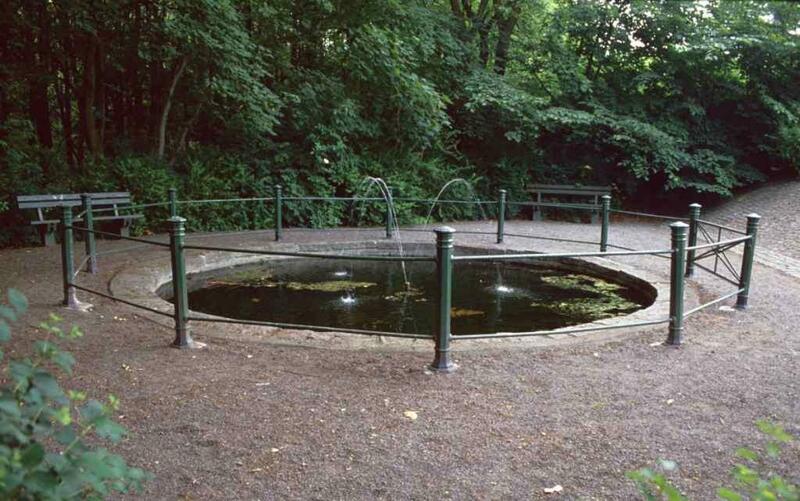 The county is not well known for its holy wells, however a number of interesting sites can be found; one of these being the eponymous holywell of this settlement. This settlement on the banks of the Stour owes its name to the presence of a clear and never failing spring, called simply the Holy Well (TL 336 707) that arises at the junction of gravel and Ampthill clay. This well was may have been known in Roman times, indicated by the discovery of Roman coins and pottery in the churchyard and rectory grounds. These are now in the Norris museum. First mentioned in a will of 986 when an Athelstan Mannessune bequeathed to Ramsey Abbey ‘de terra… de Haliwella’. By the time of the Domesday 1086,, the settlement Haliewelle is noted with the names Haliwell, 1231, Halliwell, 1350 and even Hallowell, 1601, before settling as Holywell in the 1700s. It maybe that the Christian history is associated with the 7th Century Bishop of Persia, St Ivo, whose relics were held at the nearby town of St Ives. 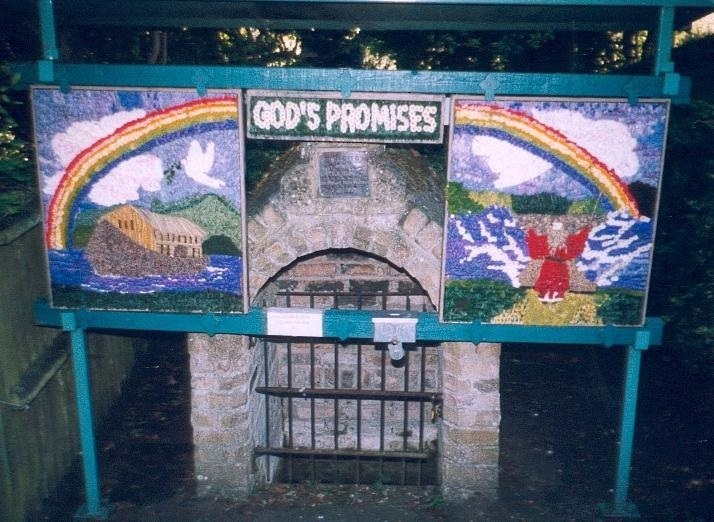 Pilgrims would rest and drink here after or before taking the ferry across the Stour to and from the St Ives’ Shrine. Whether the dedication of the well was the same is unclear, as the well lies the Parish church of St John the Baptist, it is possibility that it too was dedicated to St John. The present structure was constructed in 1845 by Rev. S.B. Beckwith, the rector, which covered the mediaeval 13th century stone ring (Kelly (1910) notes 1847). This structure is an attractive yellow brick dome. A metal plaque is set into the arch recording its name. However, direct access to the well is impossible as a black metal frame covers the entrance; however the spring can be sampled, as it gushes forth by some force below the well. Until the 1940s this well was the only source of domestic water and was also still used for baptism. 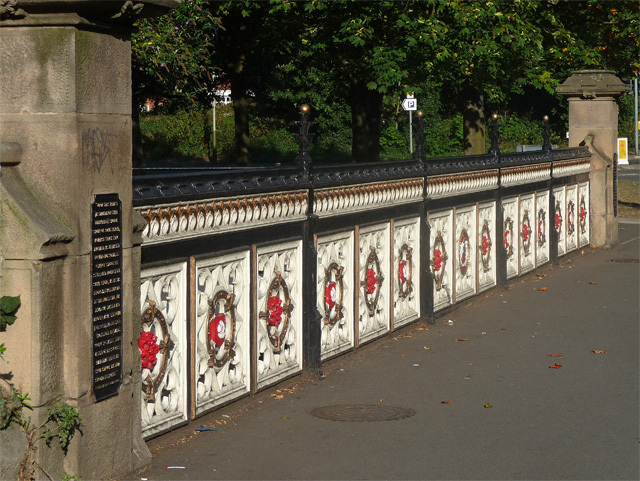 The site was restored in the 1980s, as three elms, whose roots were undermining the structure and making it thus unsafe, were damaging the fabric. Hence after the death of these trees due to Dutch elm disease, it was decided to restore and repair the well. Volunteers and the Parochial Council set to remove the trees and after measuring the structure and making a template of the arch, together with photographs: the repairs could be done, after diverting its flow of course. It was found that the foundations and walls were in a very bad state and this required removing the structure down to the original 13th Century stone ring. Care was taken as to save as many of the old bricks, and these were incorporated into the new structure with matching old bricks supplied by a local builder. To eradicate future problems of tree damage, the area around the well was cleared right back and four ft high retaining walls were constructed from old facing bricks backed with engineer bricks and the surrounding well area covered in crazy paving. Further improvements to ensure safety, including new fencing and easier access to the spring outlet were made and the area was improved with the planting of 800 spring bulbs. Today thanks to the restoration the site is a pleasing place for contemplation. An annual well dressing ceremony was also introduced and this is carried out on the Patronal day of 24th June, that of St John the Baptist since 1982. It involves a mud and dried flow technique, the Derbyshire technique, and the placing of a wreath around the arch. In 1982 the motif was peace with a dove and church and a yellow rose as the designs either side of the arch’s finial. Then, as since, the dressing receives the blessing of the Bishop of Ely or Huntingdon and the display remains for ten days. Today the well entrance is filled by a plaque also dressed and in 2012 the Royal Jubilee is the topic.